This week we are introducing Filip Carnogursky and congratulating him on his admittance into the first cohort of TAP grant recipients! 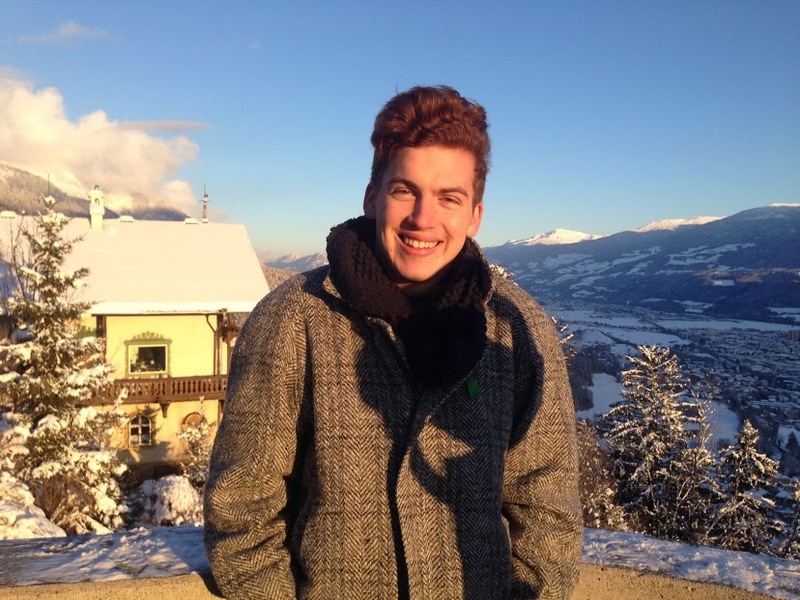 Filip Carnogursky is just a regular ginger guy from a beautiful little village in Slovakia, where, when mentioned the word ‘gap-year’ (which doesn’t even have a direct translation), an avalanche of prickly questions swamps the one explaining it. It always needs an extensive explanation full of arguments and answers of the type: “No, I am not just too lazy to study”. 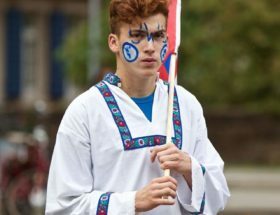 Filip, as many young people, might still be a bit puzzled about his main passion, life-goals and priorities, but he is more than sure that he wants to do a gap year, in which he will explore his world beyond these existential questions. He could be listing here more than a dozen of activities and organizations he was actively involved with (without showing off, of course), but none of them with the confidence of saying: “this is my life passion, and this is my master-plan of changing the world”. However, he is more than sure that he wants to travel, volunteer and discover the undiscovered about himself and his destination, which also gives him the time to think about what exactly he wants to do in the future. 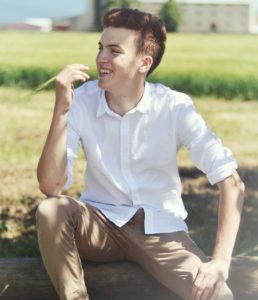 Filip, a passionate reader since his childhood, would get inspired by the encyclopedias and biographies he had read, and change his dream-profession each day. From becoming an astronaut or an actor to being a politician, because, allegedly, he talks too much – although he really doesn’t think so. Throughout childhood, filled with tree houses, motorbikes, working in a house-garden and bonfires, he became a normal teenager with normal hobbies, such as football, table tennis, volleyball; later on after an ankle injury it changed to theatre and volunteering work at a local NGO, organizing various social events in the nearby town. At that time, Filip experienced one of his most important, life-shaping moments. 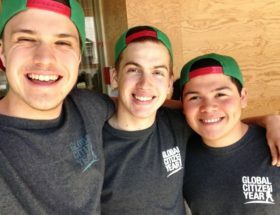 He used to volunteer as a facilitator at summer-camps, however only one of them is memorable and eye-opening enough to mention. He spent two weeks in one of the most problematic and marginalized boroughs in the country, where instead of 2300 people, which is the built capacity of the borough, live up to 6000 Roma people. Here Filip realized that he wasn’t alone in this world and became aware of the privileges that he has had, just by having a clean water or heating in his home. He was aware of the needs of his environment for a long time; after all, he has 5 siblings, with whom sharing of the room, worries and sometimes his much loved and too badly hidden sweets was usual. But this coexistence was nothing compared to the coexistence that must be improved between the whites and Roma people of Slovakia. therefore he applied to an Open Society Foundation program which he failed badly, his application wasn’t even reviewed. After a month of hard work, no deserved fruits arrived. Filip was confused and disappointed. Luckily, his mentor from the Talentguide informed him about United World Colleges, a movement providing a good education and a platform for students from more than 80 countries to share about themselves and their countries, and so together strive for peace in the world. 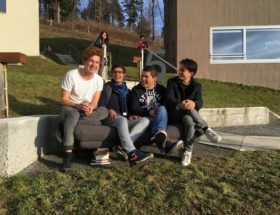 After reading more about the main goal of the UWC movement, which “makes education a force to unite people, nations and cultures for peace and a sustainable future”) Filip, realized that this is much more than an exchange year abroad. 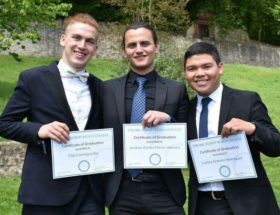 Although demotivated to do another extensive application, he applied, got in and graduated from UWC Robert Bosch College in Freiburg May 2017. Here, he treads into the unknown waters of different countries, sexual orientations, racial, religious and cultural conflicts all around the world or sexism. It was a life-changing experience for him, which is hard to describe just by words. 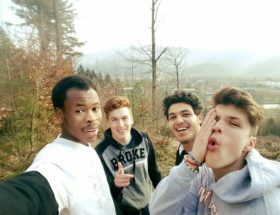 Intrigued by the, very different, but still somehow similar cultures so much, he delved deeper into this aspect of the UWC experience by immersing into only one another culture at the time. And here comes the experience that is yet awaiting with all its pleasures and challenges in front of him. Thanks to Global Citizen Year and Travel Access Project, he will be travelling to Brazil, where, he will be diving into the culture of Brazil, its peoples, diversity and nature, through volunteering and simply, living. One of Filip’s goal is to become fluent in Portuguese to the level, that being involved in the local community will be as easy and natural as in his own, which will allow him to connect with people more profoundly, and so having a bigger impact and a memorable experience.